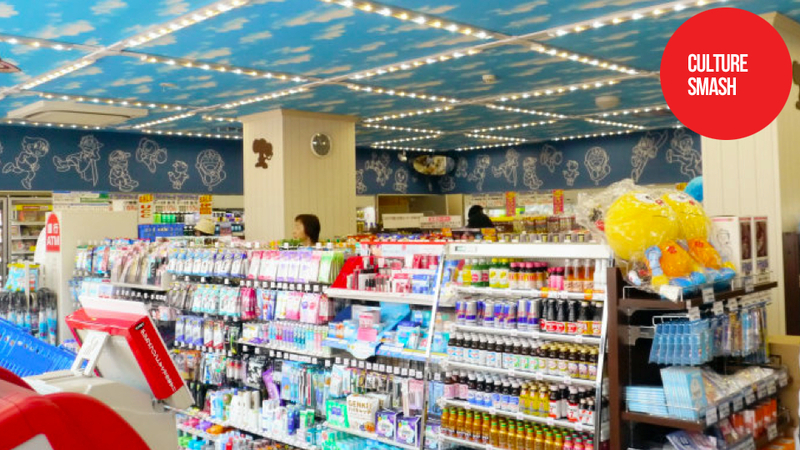 In Japan convenience stores, or "conbini" as they're called, dot the landscape. They're where people buy food and drink, pay bills, send letters and stand and read magazines without paying for them. Some might like Family Mart, others prefer Daily Yamazaki. I like Lawson, because more than any other corner store in Japan it panders to nerds like me and maybe like you. What separates Lawson is how aggressive the store is about chasing up in-store nerd promotions. In the past, Lawson has featured game cross promotions with idol simulator The [email protected], hack-and-slash title Dynasty Warriors 7, and sci-fi anime Neon Genesis Evangelion. This month, Lawson is holding not one, but two cross promotions. Until May 23, stores across the country hold a special K-On!! Fair with K-On!! themed goods and snacks. K-On!! is a popular schoolgirl-themed rocker anime. Stores have special K-On!! banners, and there's a rack of K-On!! items. This is part of a larger push for the K-On!! feature film, releasing this December in Japan. Lawson is rolling out another anime-themed store in Kanagawa, near Shukugawara Station. Later this year, a musuem for Doraemon creator Fujiko F. Fujio opens in Kanagawa, and this Lawson is wall-to-wall Doraemon. For those not familiar with Doraemon, the anime follows the adventures of a robotic cat sent from the future to take care of a young boy named Nobito, who's not very smart and a bit of a jerk. Doraemon is a national institution in Japan. From May 24 to June 6, stores across the country will hold a Fujiko F. Fujio fair, celebrating the famed manga creator's characters. Click through the gallery to check out pics of the K-On!! Fair and the Fujiko F. Fujio themed Lawson in Kanagawa. Pictures courtesy of Japanese site Gigazine. Could you not find any room in this article for cosplayers?